Project PEARLS was established in 2010 by Melissa Villa to help the poorest of the poor have a better life. 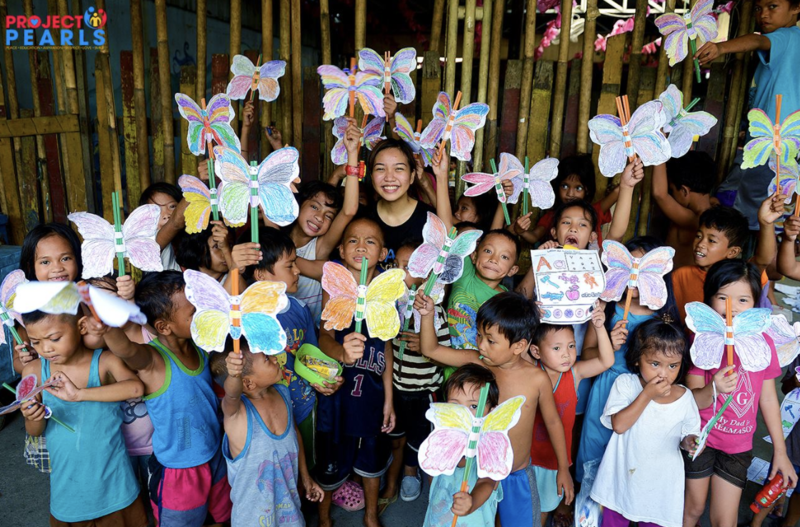 By providing the children with PEARLS – Peace, Education, Aspiration, Respect, Love and Smiles – through education, empowerment, nutrition, nourishment, and healthcare, it has allowed Melissa to work on improving life conditions in the Tondo slum in Manila, as well as in surrounding areas. The Forgotten International’s staff met Melissa at a fundraiser in San Francisco, which is when she invited us to visit her program in Manila. After our visit in 2018, TFI were impressed by the level of care given to the children they support and success. Likewise, TFI was inspired to help this grassroots organization and children who thrive with their support and attention. To donate specifically to the Project PEARLS, write “Project PEARLS” in the comments section.